Everyone who loves hiking knows that one of the perks is the views, but it takes a lot of time and effort to get to the *really *good ones. Or does it? 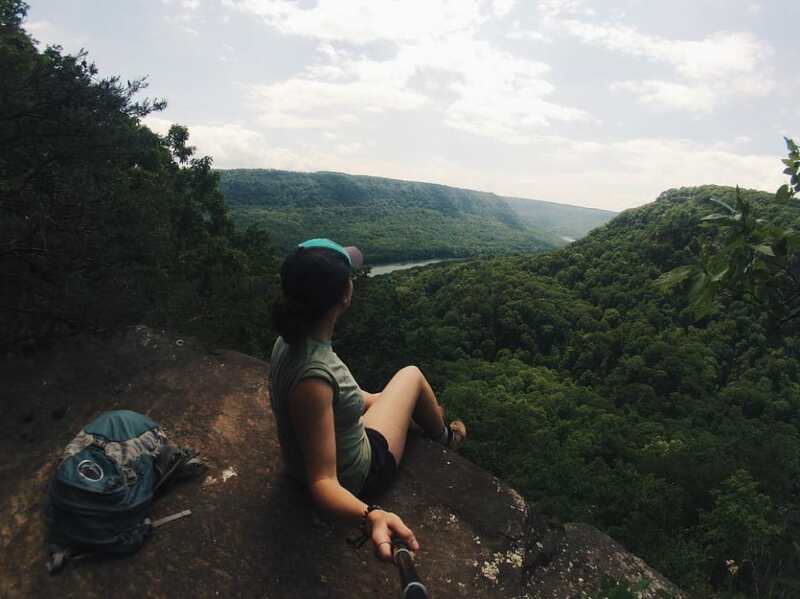 In Tennessee, there are plenty of easy hikes that won’t require hiking into the backcountry for a weekend, but will still give you the vistas you’ve been dreaming of—deep gorges, twisting rivers, tree-covered hills, and mountains as far as the eye can see. Of course, it’s impossible to list them all, but we’ve narrowed it down to nine of our favorite easy hikes (three miles or less, round trip) with spectacular views. 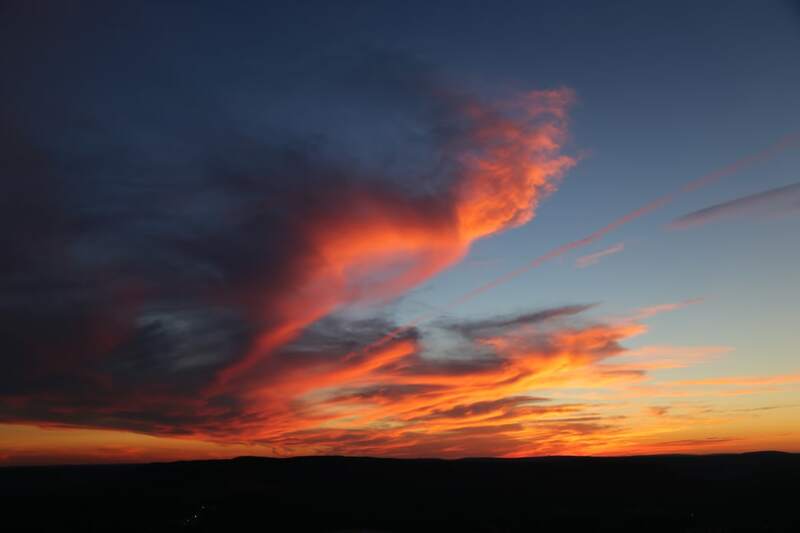 You don’t even have to get out of the car for a view like this at Morton Overlook. One of the best spots to capture a stunning sunset can be found less than a mile from the Tennessee/North Carolina border. And this one doesn’t require a hike at all—just pull off U.S. 441-N and behold the beauty of the Smoky Mountains. Here’s another one that you can see from your car (or a very short walk across the parking area). At the Boyd Gap Overlook, 1.5 miles away from the Ocoee Whitewater Center, you’ll have a bird’s-eye view of the Cherokee National Forest and the Ocoee River moving towards the Ocoee Gorge. The fall is a great time to check out this overlook, when all the trees in the forest are changing colors. Snoopers Rock is especially beautiful at sunrise. There are two ways to get to the top of Snoopers Rock for a view of Tennessee’s very own ‘Horseshoe Bend.’ There is a six-mile hike with a few climbs, making it more of a moderate trek, but if you’re taking the term “easy hike” to heart, head straight to the parking lot. From here, it’s less than a mile to one of the best views around of the Tennessee Gorge. If you’re an early riser, it’s even better at sunrise, though sunset isn’t too shabby, either. 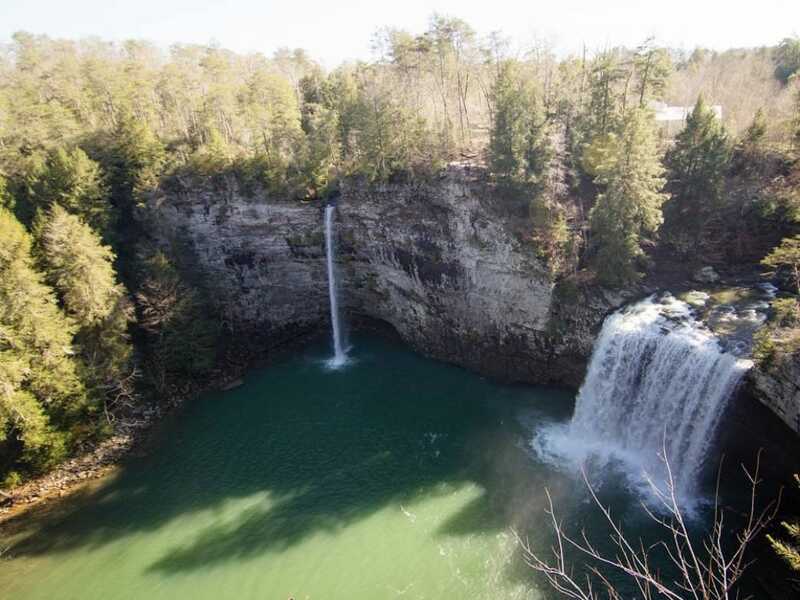 Check out Fall Creek Falls from the overlook before hiking down to see it up close. Fall Creek Falls State Park is a popular hiking destination for locals. Located in Middle Tennessee, the park is easily accessible and offers one of the best views overlooking Fall Creek Falls, the tallest waterfall east of the Rockies. A short and easy walk from the parking lot will lead you to the overlook. For some, that’s plenty, but less than half a mile down the hill and you can see the 256-foot falls up close. Going back up is a little more difficult, but kids (and those young at heart) will love the rocky ascent. 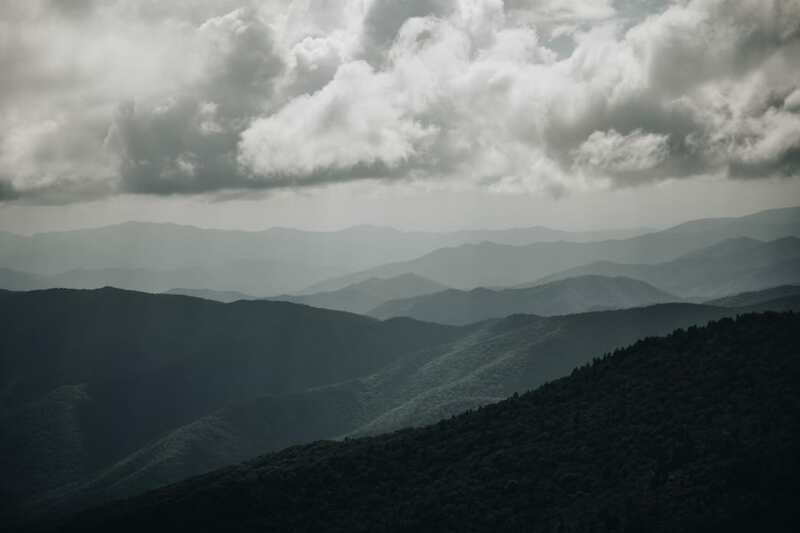 Get 360-degree views of the Smoky Mountains from the top of Clingmans Dome. At 6,643 feet in elevation, Clingmans Dome stands as the highest point in the state. 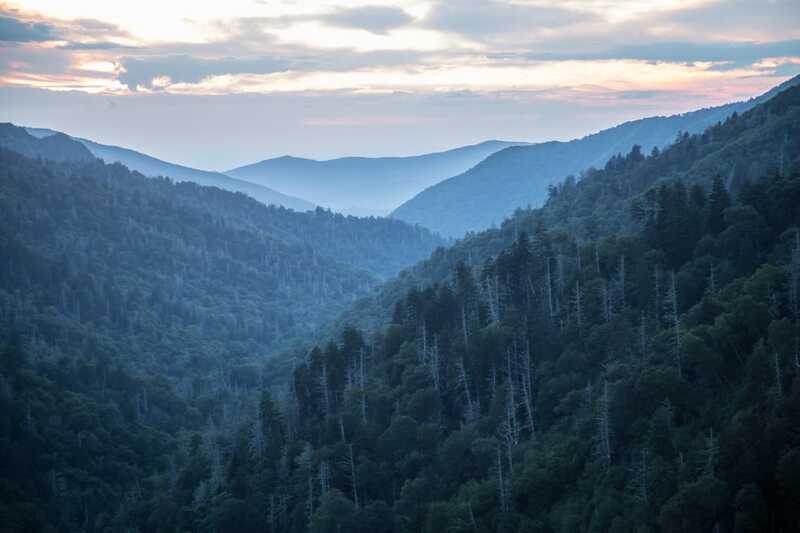 Nestled in the heart of the national park, you’ll be treated to expansive 360-degree views of the iconic Smoky Mountains. The walk up is pretty steep, but it’s only a half-mile. But don’t let the steep trip discourage you—there are still some picturesque views of the surrounding mountains to be found right from the parking lot. On clear days, you can see up to 100 miles away. Note that Clingmans Dome Road is only open from April 1 to November 30, so plan your trip for when the road is open, or you’ll have to hike to the top. The Julia Falls Overlook is high reward for little work. It’s only a half-mile hike to get up to Julia Falls Overlook for a view that gives Snoopers Rock a run for its money in the “best view of the Tennessee Gorge” category. Julia Falls is going to be to your right, and after a good rain the almost 100-foot waterfall is practically guaranteed to impress. Continue on for almost another half-mile to see Rainbow Falls, but note that the trail gets rocky and more technical past the Julia Falls Overlook. This short and easy hike has a big payoff—the huge rock at the end of this trail is the perfect spot to watch a sunset. Most of the hike is through the forest, passing by a pond and a stream (where you might see a deer if you’re really quiet!). At the top is a flat rock that is perfect for setting out a blanket and taking in the scenery as the sun dips below the mountains in the distance. Sunset Rock is one of the best places in Chattanooga to watch the sun go down. Not to be confused with the previously mentioned Sunset Overlook, Sunset Rock is close to Chattanooga, making it a prime spot to watch the sun go down near the city. There are a few options to get up there from Cravens House, but the shortest hike is the three-mile round trip route from the upper parking lot. The trail is mostly flat with a gradual uphill, so it should be manageable for most. 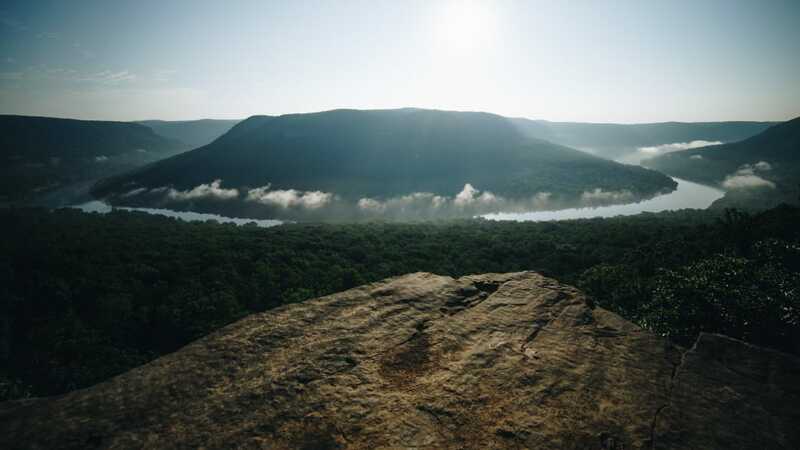 It’s not all about the sunsets up here, either—you’ll see Lookout Mountain, the Tennessee River snaking its way around Mocassin Bend, and the meadows of the Reflection Riding Arboretum and Nature Center. Regardless of how you get up there, Sunset Rock is a must-see. Sitting along the edge of the Great Smoky Mountains, you’ll find the beautiful Chilhowee Recreation Area. Here, the Benton Falls Trailis a wide, sandy path that gently descends to the 65-foot waterfall that gives the trail its name. A popular time to visit this trail is in the fall, when the leaves are changing color and the Cherokee National Forest is filled with bright reds, yellows, and oranges. Written by Lauren Brooks for RootsRated in partnership with BCBS of Tennessee. Matcha helps marketers create and promote content intelligently.